Making repairs, the owners invariably faced with the problem of removing the walls from the old cover. This files most often have to clean Wallpaper which is not always removed easily and quickly. Least problems delivering double-layered non-woven Wallpaper – just delete the upper part, leaving only a thin paper base. It is easy to remove, but you can write on the wallse, pasted on top of other Wallpaper. Much more work has to invest when you remove the paper. Experienced repairmen are advised to first thoroughly wet them with warm water using a cloth, sponge or atomizer (do not forget to disable sockets and switches) and leave alone for 15-20 minutes and then remove. During this time, the paper will swell, the glue will dissolve and the Wallpaper start to peel away from the walls. In order to facilitate the access of moisture, the surface of Wallpaper can be cut or scratched with a knife, spatula, and use a roller with nails or the Wallpaper tiger. And then their surfaces. By the way, the most effective in this case, tiger Wallpaper, which you can use without a lot of work to scratch any area and do not leave on walle damage. Another way to increase the "availability" of old Wallpaper – steamed them with the iron through a wet cloth. But for removing too "entrenched" on the wallske Wallpaper (as a rule, they were smeared with white glue or carpenter's glue) you will have to exert maximum effort. Such materials did not take emery paper (clogged almost immediately), or by wetting with water or by steaming (the glue will become stronger). The selection is small, tedious scraping and scouring, remembering a bad word authors last repair. Of course, you can use a drill or grinder with a small nozzle, but then you have wallshave re-primed and putty. But if the Wallpaper is fixed with white glue and even on the drywall, then tear them you'll have with a cardboard. And in conclusion, on the facts, which should be paid special attention. Removing the old Wallpaper, do not water from a large area, because until you get to the edge, he will have time to dry. And do not overdo it with the amount of water – too much moisture can harm not only the putty or plaster under the Wallpaper (and will be much more), but the downstairs neighbors. Probably during repairs, you are faced with such a problem as peeling old Wallpaper. Modern non-woven or vinyl Wallpaper removed fairly easy, you just pull the canvas. But to remove the old paper – not a simple task. Knowing a few tricks, you can quickly cope with the task. - chemicals for removing Wallpaper. To quickly remove old Wallpaper, moisten the surface with a damp cloth or warm water from a spray bottle. Wait for thirty minutes, during this time, the Wallpaper is soaked with water, start to peel them off the wall with a putty knife or Wallpaper scraper. For best results, add water to liquid soap or liquid dishwashing. In those places where the Wallpaper is almost not far behind, dampen the wall again with hot water. The second fast peeling Wallpaper rather complements the first. Before treating the wall with a wet roller or spray from a spray bottle, twist on the Wallpaper small cuts and punctures with a sharp spatula or knife. Thus, the moisture the more will penetrate, and the paper will get wet much faster. Then remove paper Wallpaper will not be difficult. Use special chemicals for removing Wallpaper: "Quelyd", "Cleo", "Metylan" and others. It is a fast, highly productive and completely safe liquid. 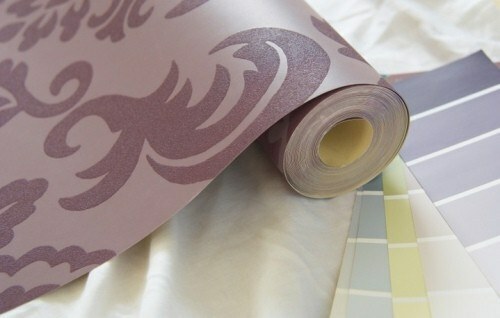 Thanks to the good and rapid permeability through the structure of the Wallpaper allow for efficient and fast removal. Prepare the solution in accordance with instructions and apply it to the Wallpaper using a roller or sponge, wait a half hour for effective treatment. If necessary, repeat the procedure of wetting and remove the Wallpaper. 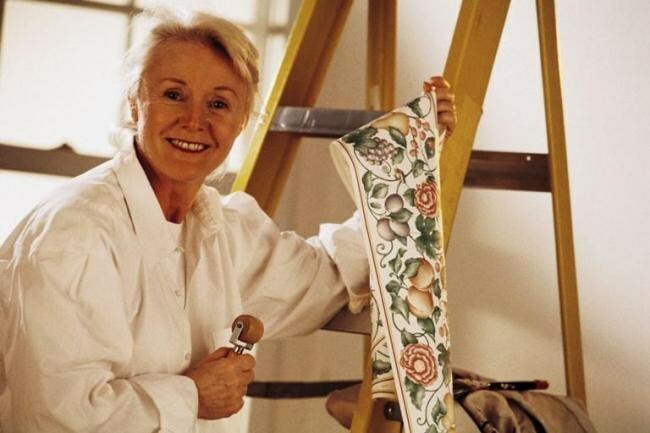 If the old Wallpaper glued quite firmly, such as CMC or Bustilat, do the following: take an old cotton cloth and thoroughly soak it in hot water. Attach the material to the wall and steam the hot iron. Do this procedure in small sections and immediately try to tear off the old Wallpaper, before they have time to cool down. power supply, and then remove the flap and clean under it the wall from the old cover.